Headquartered in Birmingham, Alabama, Buffalo Rock Company is one of the largest single-family privately owned Pepsi-Cola bottlers. Today it operates 14 distribution centers in Alabama, Florida and Georgia, servicing a population of more than 6.5 million. In addition, we ship to many distribution points where we do not own the franchise rights. The story of Buffalo Rock spans over 100 years and four generations of the Lee family. Beginning in the late 1800’s, with the founding of the wholesale Alabama Grocery Company by Sidney W. Lee, the firm moved into the soft drink business when Lee and a Selma chemist, Ashby Coleman developed Buffalo Rock Ginger Ale. The popularity of the new drink soon eclipsed all other products and in 1927, became the sole business of the renamed Buffalo Rock Company. For the next 30 years, the Company’s main products were Buffalo Rock Ginger Ale, Mission Orange, Mission Grape and B-1. 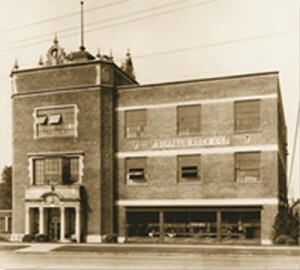 Originally located on First Avenue North, Buffalo Rock moved its operations to 10th Avenue and 26th Street North in 1922. The Company’s huge electric sign, erected on the roof of the 26th Street plant, fascinated Birmingham residents. Lit by hundreds of bulbs, the sign showed a giant Buffalo Rock bottle pouring its contents into a glass. Sidney Lee passed the Company onto his son James C. Lee, Sr. 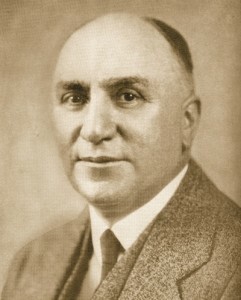 When Lee, Sr. died in 1951, his son, James C. Lee, Jr., assumed leadership. Lee, Jr. started working when he was 19, hand-loading drink cases, as well as delivering and selling. He developed a reputation for his keen business sense and commitment to community service. In 1951, with James C. Lee, Jr. at the helm, the Company purchased the Birmingham Pepsi-Cola franchise and soon added Dr Pepper and Seven Up to its product line, making Buffalo Rock the first production plant in the country to bottle three major brands under one roof. The Company acquired the worldwide rights to Grapico in 1981, developed Dr. Wham in 2005 and continues to develop new Sunfresh flavors. Under Lee, Jr.’s guidance, the Company soon outgrew its 26th Street locations, and in October, 1966, moved to a 15-acre site on Oxmoor Road. Thousands of well-wishers attended the grand opening of the new facility. The site, south of Red Mountain, provided an anchor for future growth. Today, following a multimillion dollar expansion, the firm’s headquarters and bottling facility occupy more than 500,000 square feet in seven buildings on 50 acres. Known throughout the beverage industry as a leader and innovator, Buffalo Rock developed the highly successful 3-liter bottle, introduced the 20-Pak Mini-Case for 12-ounce cans and developed the 12-ounce and 20-ounce bottles and numerous closures and other packagings. With the additions of coffee services, bottled waters, specialty juices, isotonics and new age beverages, Buffalo Rock became known throughout the industry as a Total Beverage Company. In 1985, the Company began its full line vending operations in Birmingham and has expanded these operations throughout every distribution center. The Company now operates and services cafeterias, food lines and snack bars, and offers catering services. Buffalo Rock Company has grown to become one of the region’s largest providers of full line vending and food services, and is currently the largest General Foods Distributor. The key to this success is that we’ve never forgotten our reason for being: the customer. Just as in the early days, each of our area franchises is locally operated to ensure that we can meet our customers’ needs. Our whole corporate structure is designed to give these businesses the resources they need to satisfy their customers. With over 110 years of experience in the food and beverage industry under our belt, we are able to offer our customers a level of efficiency that few companies can match. By using a private wide-area network system linking all of our distribution centers, and hand-held computers for inventory and point of sale, we are able to keep track of what our customers want and like. We are also sensitive to and ready to meet the preferences of the consumer. From offering full sugar, low calorie and no calorie beverages and an array of “better for you” beverages and snacks, we are able to offer products to meet any taste preference. James C. Lee, III, is Chairman of the Board and Chief Executive Officer. Other officers of the Company are; Matthew Dent, President & Chief Operating Officer, Bruce Parsons, Executive V.P. & Chief Financial Officer, Warren Austin, V.P. – Customer Development, Sales & Service and Scott Parks, V.P. – Manufacturing, Facilities & Operations.